Now Netflix is not just for entertainment, you can Netflix and Learn too. Being that I'm an entrepreneur, I'm always thinking of ways to enrich my business knowledge. Sitting in a classroom or listening to lectures after a long day of work is counterproductive to me because the brain is not as sharp as it would be at the start of the day and retaining information is much harder. 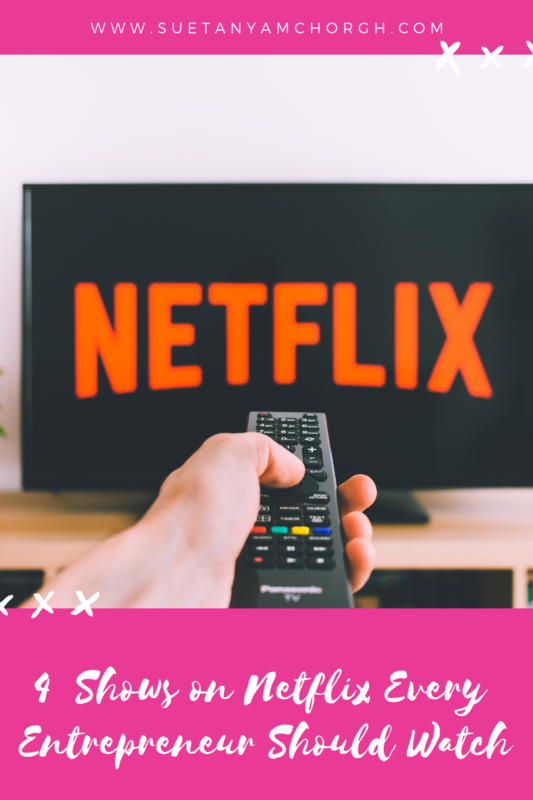 I prefer watching movies and documentaries on Netflix that gives insights on popular entrepreneurs, how they dealt with their trials and tribulations, their daily struggles and how they overcome their hardships. Here are 4 movies every entrepreneur should watch in 2019. Tony Robbins is one of my favourites motivational speakers so of course, as soon as I saw this documentary I added it to my list of things to watch. This documentary gives you a behind the scene look at popular motivational speaker Tony Robbins as he holds an annual seminar known as "Date With Destiny" in Boca Raton. If you love documentaries and you want to be inspired, check this one out. If you ever wanted to know about Bitcoins, this documentary should be on your list. It features interviews with experts who talk about the origin of Bitcoin and shares future possibilities of cryptocurrency. Even though Netflix cancelled the show after it's the first season and despite the negative feedback floating around for this Netflix Original I think there are some important lessons to learn from this show. The show looks at the life of Sophia Amoruso, the controversion CEO of Nasty Gal and how she built her online clothing empire. This documentary gives a behind the scenes look at the infamous unravelling of the Fyre music festival. This one is definitely a good watch for me as an entrepreneur because I immediately started to think of what I would do differently. If you're in the mood for a documentary that is full of surprises and jaw-dropping moments, check this one out. Let me know what you thought of my list. Do you have any of your own that you would like to add?